Hi Laura! I have been looking for that bag, in that colour - I need it in my life. Did you get yours in the UK? Nope, just like you I go right to the new stuff! I like to think its because I am a decisive shopper but I am too lazy to sift through the sales racks - especially in Zara...that place is such a mess during the sales! Charli! You win! 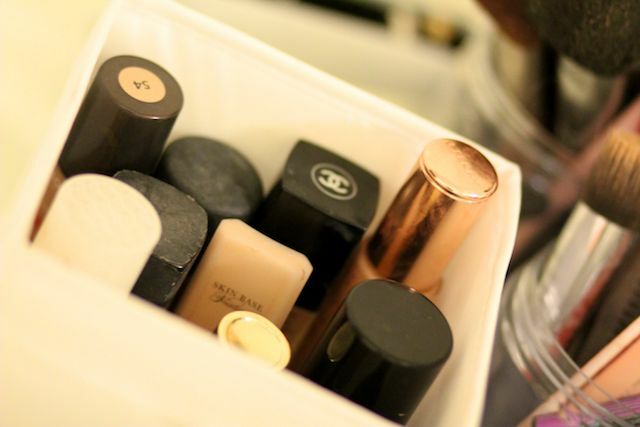 :) That is some serious foundation loving but I understand....foundation can be an addictive purchase :) What;s your favourite one? I always get lured to the New Section as well. The sales racks never have my size or the colour I want lol. Love the sneakers! Oooh is there a haul video? Will have to go to your channel for a nosy. Cute runners :) I miss shoppin for clothes ( currently preggers) but the upside is the extra cash in the bank :) happy belated new year ! I've kept my resolution not to spend that much money on things I don't really need and things I'll only temporary like. That's why I haven't bought that much in the sales, just some beauty products from Rituals, a top and a dress ~ I did a haul about it haha. I really like your sweater, looks super comfy and pretty! I also just fell in love with your bag, it's amazing omg! Love the pictures :) Great post! Thanks Valerie. I have never tried Rituals but I see the shops in the UK sometimes and also lots of bloggers have talked about them. I need to have a look at your post! Im so in love with those shoes! I saw this Zara top on thursday. Loooove it! Want it! Can't have it.. Screw budgets! I was thinking of starting project 10 pan too, need get rid of few things. Yes let's Project 10 Pan. At least on one thing like foundations. I am pretty good about everything else these days and don't buy that much makeup but somehow have like 10 bottles of this stuff waiting to be used up. They do it in another colour as well :) Love it! 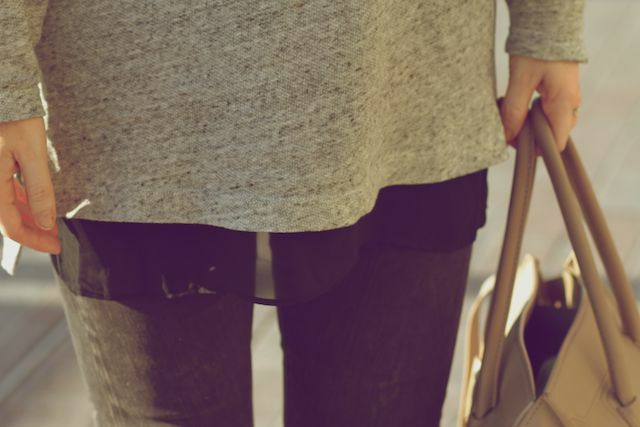 I love sweatshirts with a layer of gauzeyness! Me too - I love the contrast between the fabrics. It was a long rest :) haha damn work! Looks great - love your sneakers :) Have a great weekend! I love the glitters! !what a great look! Always been obsessed with these sneakers :) they look FABULOUS and girly !!!! Grea choice! Great combination, love the shoes and bag!! My only sales purchase was Alpha H liquid gold, I'm hoping it helps my winter/final exam stress skin! Glad to hear Forever 21 has good things! One's opening in Glasgow on 22nd March and I am VERY excited! Oooh I would love to try that liquid gold. I think it would be a good occasional treatment during the week. Keep me posted! Remember to try the Chicken Rice, Chilli Crab and Ice Kachang in Singapore! They are absolutely delicious! Also do try and squeeze in a visit to the MBS Resort with the infinity pool - they view from there is beyond gorgeous. If you are looking for Singaporean fashion (not extremely expensive designer stuff) try and pop in a visit to the stores on Haji Lane. They are great! Thanks so much for your comment! Wow I think you might have seen me too - if it was in August then I was going to Seattle and I think it was very early in the morning so apologies if I looked like a grump. :) Do say hi next time you see me :) It's funny meeting people that read that blog in real life but really special too. Hope to see you comment here again. Love the cosy loungy jumper, so good when an outfit looks great and you don't even have to try or worry about 'wearing it well'. 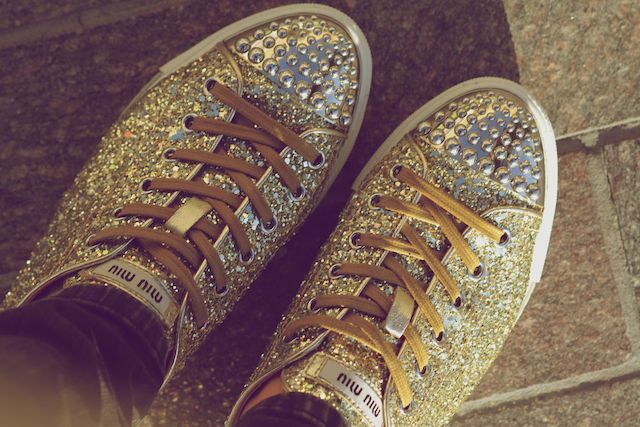 Adore your Miu Miu's too they are so cute and post Christmas does not mean no sparkle. Completely agree abut SALE Vs Just In - they just don't make the knocked downs looks as attractive to the eye on entering the store as the clean fully stocked well displayed new stuff does. Went mental in H&M, and got a little naughty in Ted Baker and Primark too last week despite self-imposed Jan embargos but 'tis all just too good. Also agree regarding the foundation mixing is the best and everyone will keep asking you how you found such a perfect shade...if only the scientists in the labs across brands thought of this...Liked this post! That bag of yours is beautiful!! I have to start saving for a nice quality bag like that! I love :) Look at Philip Lim...it's still expensive but a really nice, similar shape. That's on my wish list actually because I think that is a nice, classic bag for a less hideous price. My best purchase was probably a Guess winter coat that I chatted about on my blog, but that's about it. 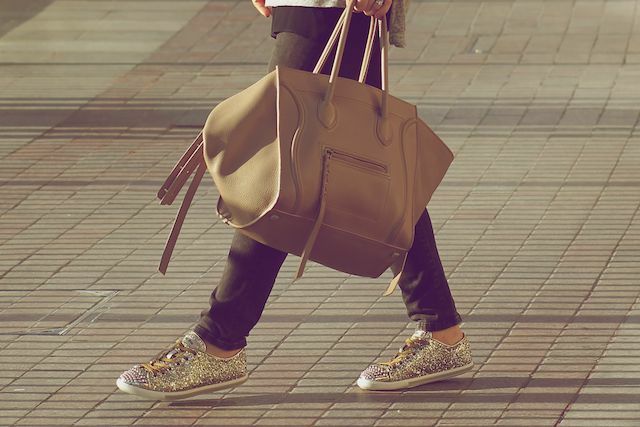 Love your cute sparkly sneakers. This is true. I never have patience and that's what I need when sale shopping :) yay for singapore - there in 2 weeks...!!! That bag is lovely. A beautiful color! Thanks Melissa. I have a strong bond with celine :) haha I wish I could afford to buy every colour! I love this whole outfit so so much. I never thought it's be possible to be in love with trainers but I totally understand it now ha, they're amazing!!! I just picked up a fun pair of studded sneakers from a new online store called BeHoneyBee, cant wait to get them on my feet! Try some Lancaine or Monistat anti chafing gel on your heel before you put the shoes on. I have found a lot of luck by doing that on shoes that fancy themselves on being a bit ornery!!!! The sweater looks so comfy, relaxed and gorgeous! And the shoes, I'm a bit obsessed with sparkle right now. Sparkle is always good :) Especially in January right? I love that - sparkly wonders. They are a bit of a statement but so fun to wear. Definitely recommend! I love the Miu Miu glittery shoes! I love your bag. So pretty. I really want to try skinbase soon, might have to get some. I got a few sale bargains, mainly perfume and work stuff. I love SkinBase. I wore it on it's own today actually and it's fantastic. Really covers well but looks relatively natural. I love your sneakers because of the bling. I almost never buy stuff on sale, because most of the time they don't have my size anymore or the colors I like. I was feeling that the sales were a bit 'blah' this year as well. But I managed to pick up a few bargains recently! Try having another look at Space.NK - they keep adding new little gems & Zara have just done some major markdowns! I blogged what I got here if you want to take a look :) http://www.twoloveslondon.com/2013/01/january-sales.html - shopping confessional! i'm obsessed with skulls! i love that sweater! 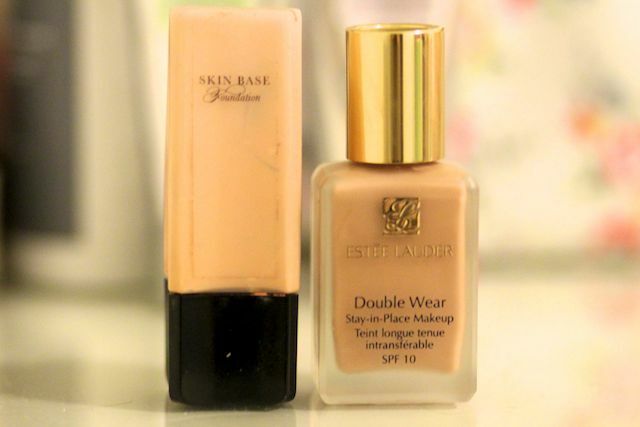 double wear is amazing but dont you find it clogs up your pores? sorry to ignore the sale information. but god i love your celine bag. its utterly beautiful. Love this kind of casual outfits ! !